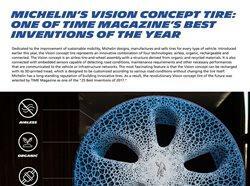 Michelin’s Vision concept tire of the future was selected as a Best Invention of 2017. Introduced earlier this year, the Vision concept features an innovative combination of four technologies: airless, organic, rechargeable and connected. However, its most intriguing feature is its 3D-printed tread. 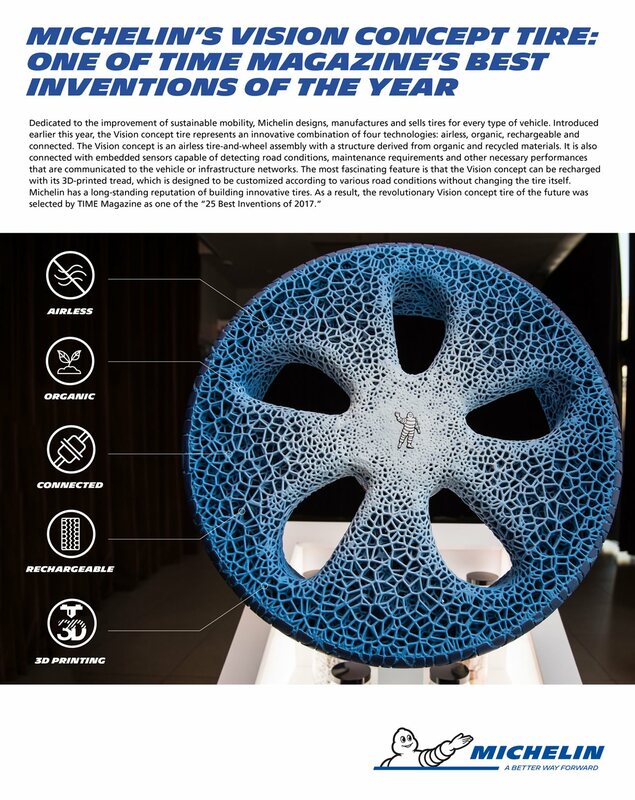 This revolutionary tire is a big step in tire technology and demonstrates the potential of smarter tires in the future.